This year's Selling Exhibition opens on Saturday 30th May and runs until Saturday 13th June. 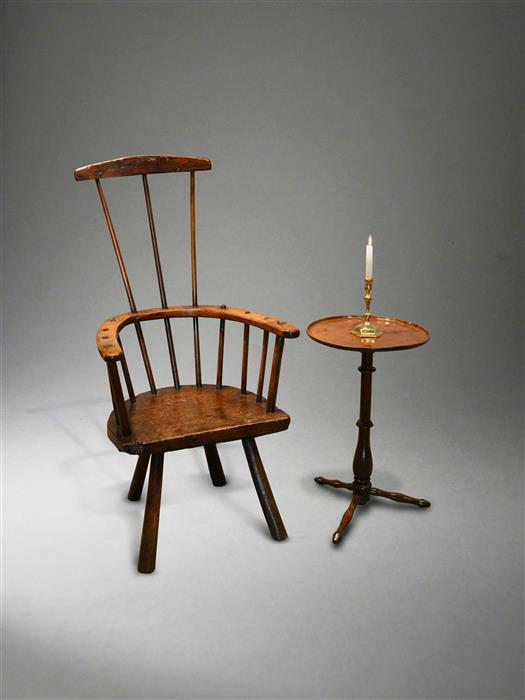 Over eighty pieces of early furniture and works of art, many of them acquired from long standing private collections, have been put aside for the exhibition. Pieces date from the 15th century, as exemplified by an East Anglian oak pew with mystical beasts carved on the pew ends (SOLD), to a wonderful late 18th century Welsh primitive comb back chair. Comb back chairs are well represented in the exhibition with a very rare set of six green painted armchairs (SOLD)and a superb and large Thames Valley armchair that is very similar to the famous example by John Pitt of Slough. 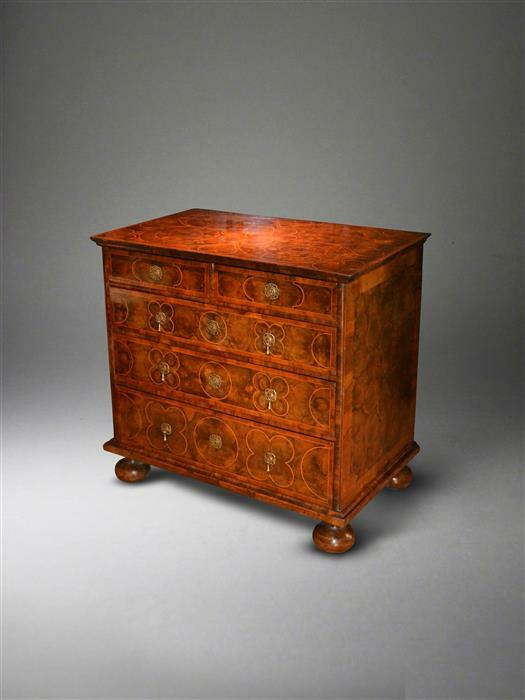 More sophisticated pieces include a fine William and Mary olivewood oyster veneered chest of drawers (SOLD), a slightly later burr walnut example and three early 18th century upholstered wing chairs. The works of art section is particularly strong on carvings with a very beautiful late Gothic kneeling angel, a polychrome Stuart coat of arms and a very interesting pair of panels depicting Catherine of Aragon and either her first husband Prince Arthur or his younger brother Henry VIII (SOLD).